« Episode 44: Interview With Eric Adams! Blowing snow. Drifting snow. Snow that is recorded by the foot. A light dusting of snow. Snow and ice and arctic chill. Still with me? Good. While I dream about leaving for someplace tropic and never coming back, here is a simple way to create snowmen using socks, stuffing and pipe cleaners. 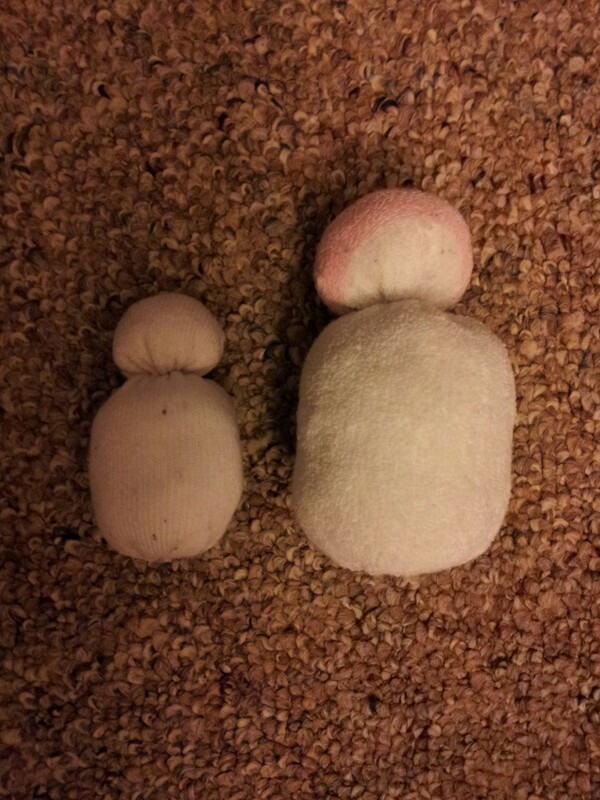 I made these after Thanksgiving, but before Christmas. I used them to decorate my desk at work. Since the holidays are over, I took them all down. Now there is snow on the ground and in the forecast. The temperatures are verging on (and breaking) record lows all across the country. I’m thinking that I may need to place these snowmen on a place of honor to appease the gods of snow and winter so that the icy grip of winter may be reduced down to a gentle handshake of winter. Should my offering not be enough, I beg you dear reader, to make your own snowman offering. 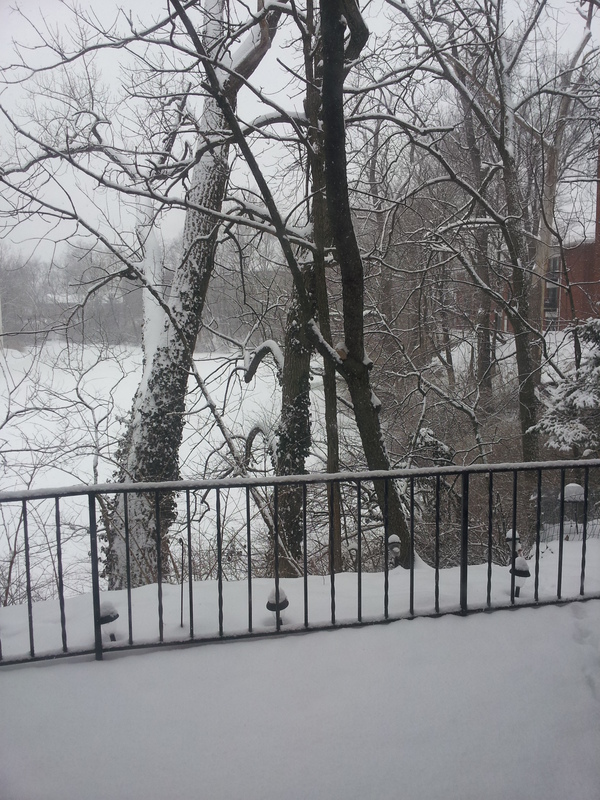 If enough of us do something, Winter may become sated and decide to release us to spring a little early. Total Cost: All materials were from my stash, so $0. Find a sock that has lost its mate. Or start with a pair of socks to make two snow men. Decide if you want to make a snow man that has two sections or three. I found that making them with two sections was easier to make and the arms make more sense in their placement. 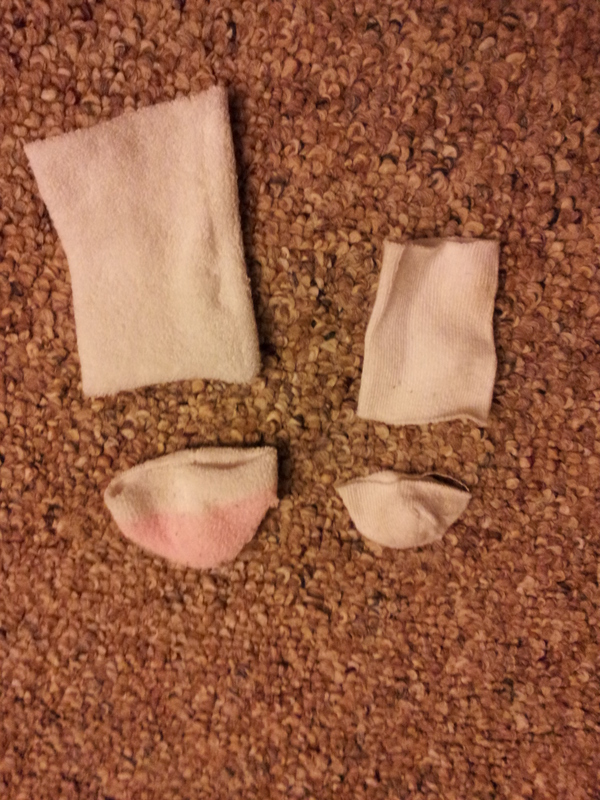 I cut the sock so that the toe becomes the head. Then I cut another section for the main body. Next, I sew up one of the ends of the body piece. Then I stuff the body piece with as much stuffing as I can fit. I use polyester fiber fill because that is what I have on hand. Other online tutorials suggest using rice, beans, or sand. Once the body section is filled with the stuffing of choice, I closed the top of the body section the same way that I had closed the bottom. 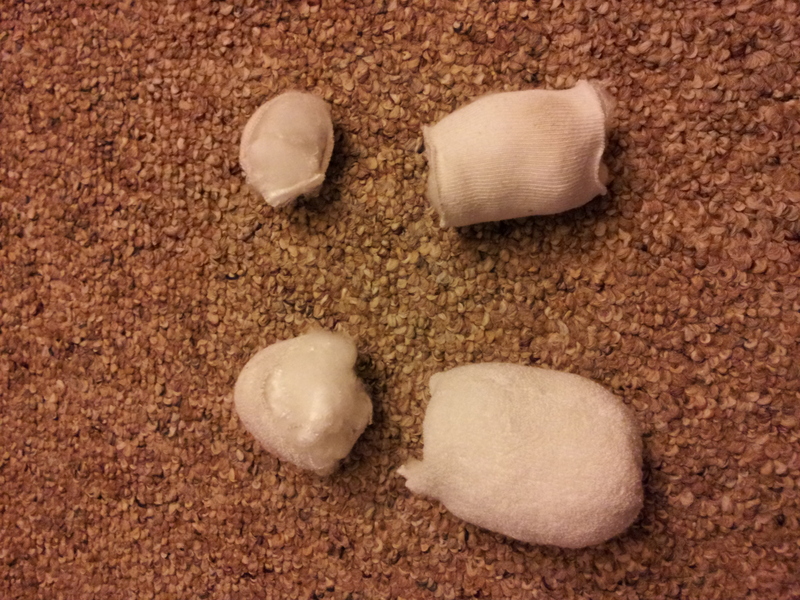 Then I fill the head with stuffing, closed up the opening, and then attach the head to the body. The arms are made from one chenille stick per snowman. I started by folding the stick in half and folding each end until it resembled a hand of some sort. Then I wrap the stick around the snow man. The finishing touch is adding eyes. If you really want to make your snow men unique, try adding more to their faces. A smile is traditional and basic. Eyebrows and a frown or a snarl embodies the facet of Winter that I feel has been growing increasingly stronger ever since the end of December. If you have fabric scraps, you can also make a hat and scarf for your snow man. 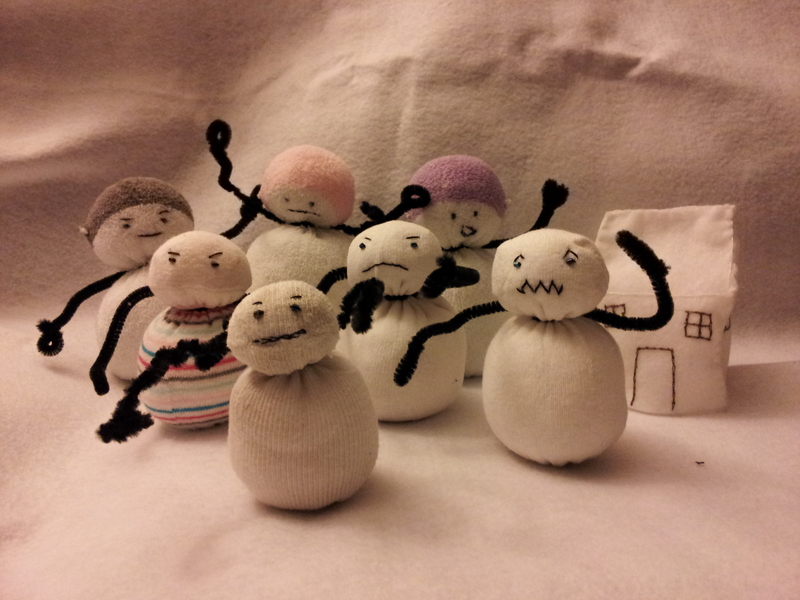 If you are a Calvin and Hobbes fan, you can recreate the snow men scenes that Calvin created. I’m feeling pretty lazy, so I just stopped at giving them faces.